Collection Views allow content to be displayed using arbitrary layouts. 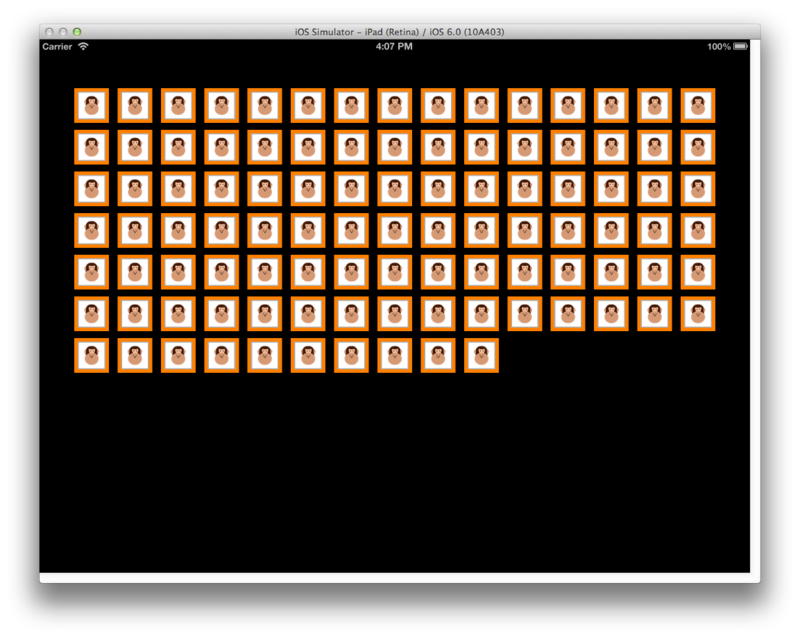 They allow easily creating grid-like layouts out of the box, while also supporting custom layouts. Collection Views, available in the UICollectionView class, are a new concept in iOS 6 that introduce presenting multiple items on the screen using layouts. The patterns for providing data to a UICollectionView to create items and interact with those items follow the same delegation and data source patterns commonly used in iOS development. However, Collection Views work with a layout subsystem that is independent of the UICollectionView itself. Therefore, simply providing a different layout can easily change the presentation of a Collection View. 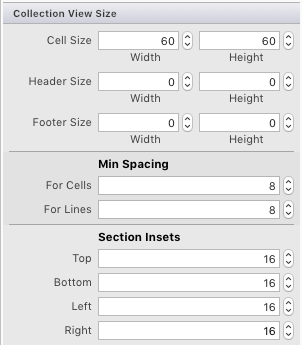 iOS provides a layout class called UICollectionViewFlowLayout that allows line-based layouts such as a grid to be created with no additional work. Also, custom layouts can also be created that allow any presentation you can imagine. Supplementary Views – Data-driven views associated with a section. ContentView – This view contains the content that the cell presents. 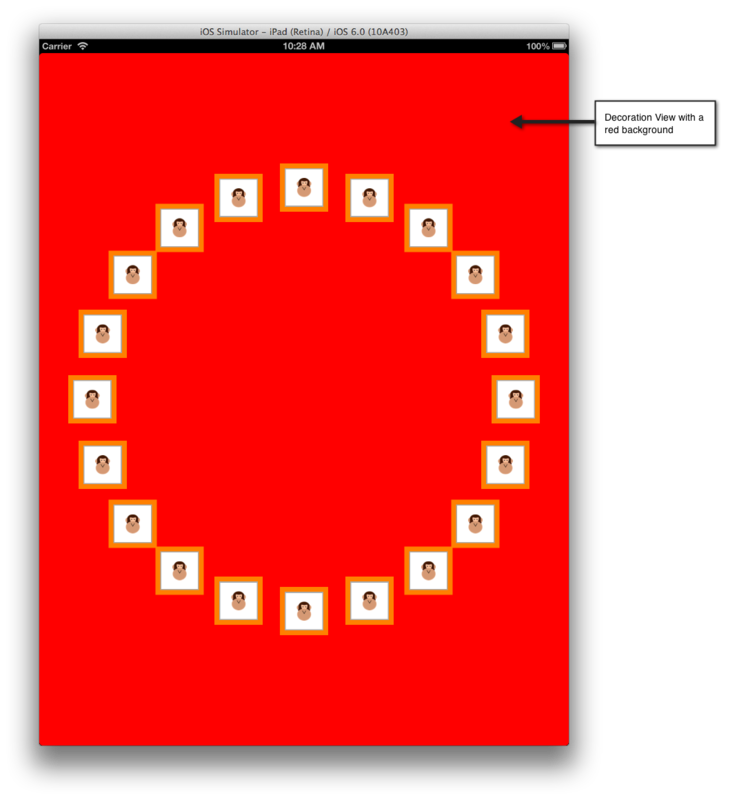 It is rendered in the topmost z-order on the screen. SelectedBackgroundView – Cells have built in support for selection. This view is used to visually denote that a cell is selected. It is rendered just below the ContentView when a cell is selected. BackgroundView – Cells can also display a background, which is presented by the BackgroundView . This view is rendered beneath the SelectedBackgroundView . Supplementary Views are views that present information associated with each section of a UICollectionView. Like Cells, Supplementary Views are data-driven. Where Cells present the item data from a data source, Supplementary Views present the section data, such as the categories of book in a bookshelf or the genre of music in a music library. Supplementary Views are more generic than just headers and footers. They can be positioned anywhere in the collection view and can be comprised of any views, making their appearance fully customizable. 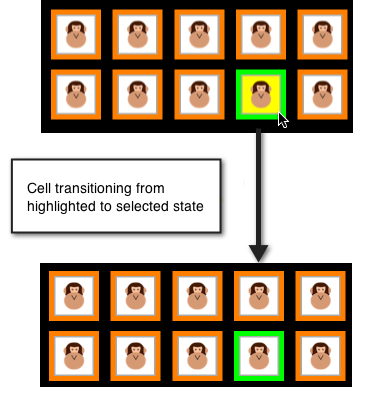 Cells – Returned from GetCell method. Supplementary Views – Returned from GetViewForSupplementaryElement method. 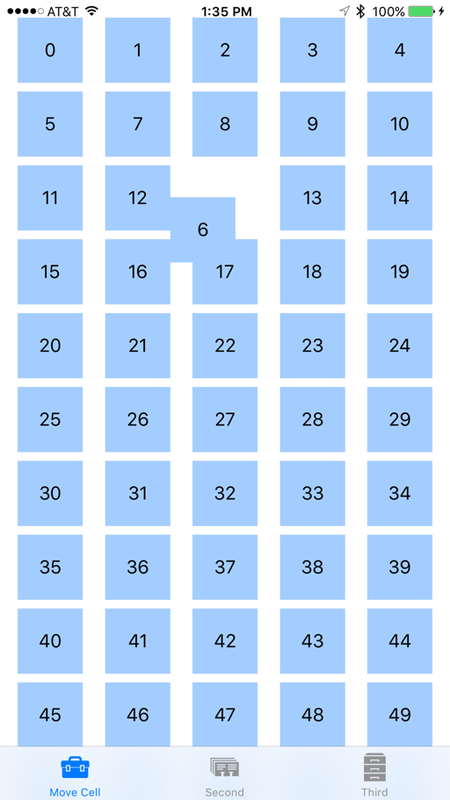 Number of sections – Returned from NumberOfSections method. Defaults to 1 if not implemented. Number of items per section – Returned from GetItemsCount method. For convenience, the UICollectionViewController class is available.This is automatically configured to be both the delegate, which is discussed in the next section, and data source for its UICollectionView view. 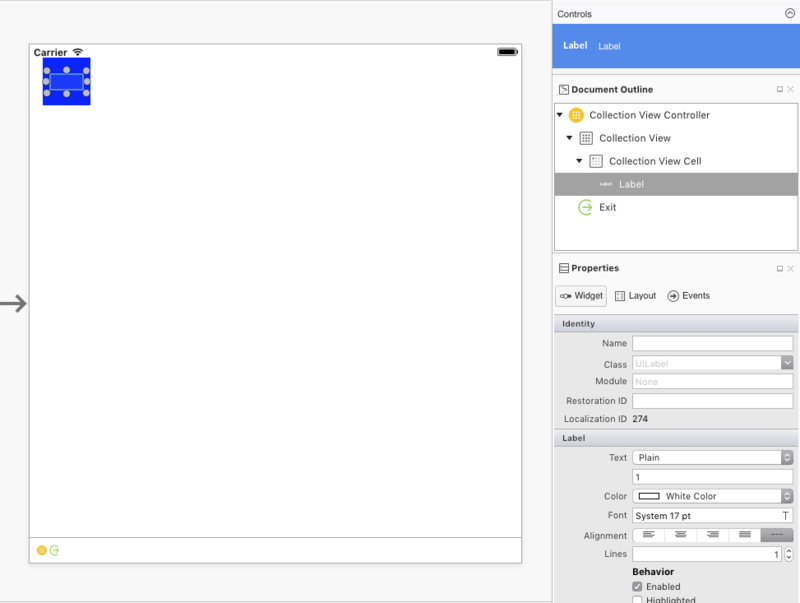 Cell reuse has been simplified with UICollectionView and UITableView. You no longer need to create a Cell directly in the data source if one isn’t available in the reuse queue, as Cells are registered with the system. If a Cell is not available when making the call to de-queue the Cell from the reuse queue, iOS will create it automatically based upon the type or nib that was registered. The same technique is also available for Supplementary Views. When a UICollectionView needs a cell because its item is on the screen, the UICollectionView calls its data source’s GetCell method. 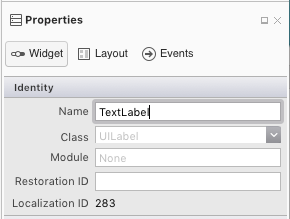 Similar to how this works with UITableView, this method is responsible for configuring a Cell from the backing data, which would be an AnimalCell class in this case. The call to DequeReusableCell is where the cell will be either de-queued from the reuse queue or, if a cell is not available in the queue, created based upon the type registered in the call to CollectionView.RegisterClassForCell. In this case, by registering the AnimalCell class, iOS will create a new AnimalCell internally and return it when a call to de-queue a cell is made, after which it is configured with the image contained in the animal class and returned for display to the UICollectionView. Cell Selection – Determines if a cell is selected. Cell Highlighting – Determines if a cell is currently being touched. 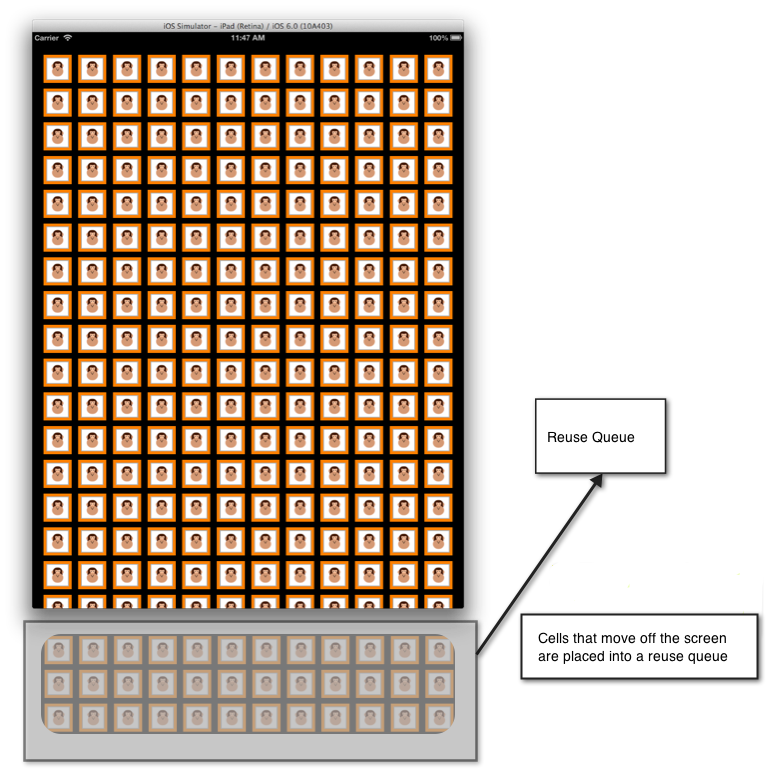 Cell Menus – Menu displayed for a cell in response to a long press gesture. As with the data source, the UICollectionViewController is configured by default to be the delegate for the UICollectionView. When highlighting is disabled, the process of selecting a cell is disabled as well. Additionally, there is also a ShouldSelectItem method that controls selection directly, although if ShouldHighlightItem is implemented and returns false, ShouldSelectItem is not called. ShouldSelectItem allows selection to be turned on or off on an item-by-item basis, when ShouldHighlightItem is not implemented. It also allows highlighting without selection, if ShouldHighlightItem is implemented and returns true, while ShouldSelectItem returns false. Override ShouldShowMenu and return true if the item should show a menu. Override CanPerformAction and return true for every action that the item can perform, which will be any of cut, copy or paste. Override PerformAction to perform the edit, copy of paste operation. UICollectionView supports a layout system that allows the positioning of all its elements, Cells, Supplementary Views and Decoration Views, to be managed independent of the UICollectionView itself. Using the layout system, an application can support layouts such as the grid-like one we’ve seen in this article, as well as provide custom layouts. Use the built-in UICollectionViewFlowLayout . 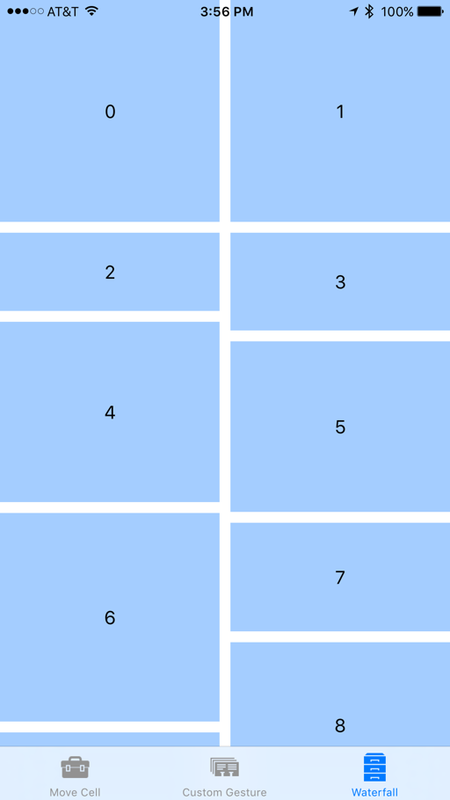 Provide a custom layout by inheriting from UICollectionViewLayout . The UICollectionViewFlowLayout class provides a line-based layout that suitable for arranging content in a grid of Cells as we’ve seen. Initializing any layout properties that apply to the layout itself or all items in the layout in the constructor. Overriding ShouldInvalidateLayoutForBoundsChange , returning true so that when bounds of the UICollectionView changes, the layout of the cells will be recalculated. 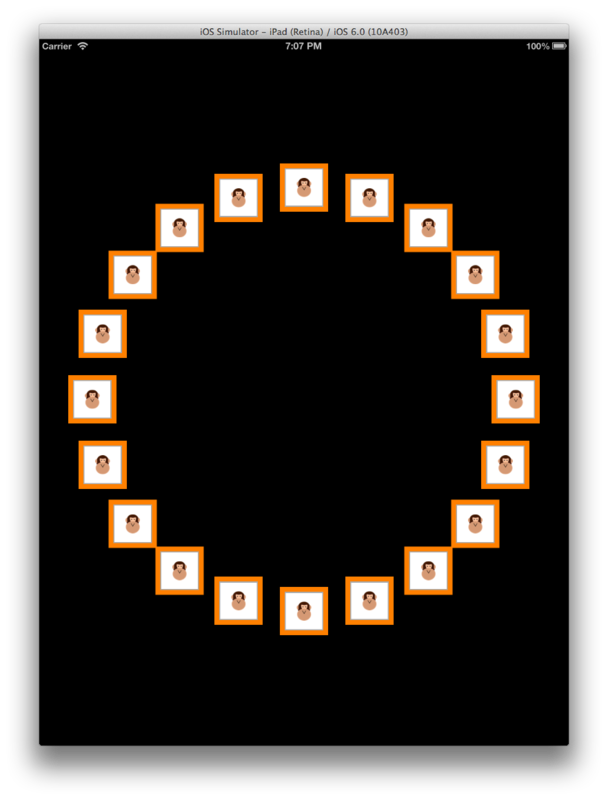 This is used in this case ensure the code for transformation applied to the centermost cell will be applied during scrolling. 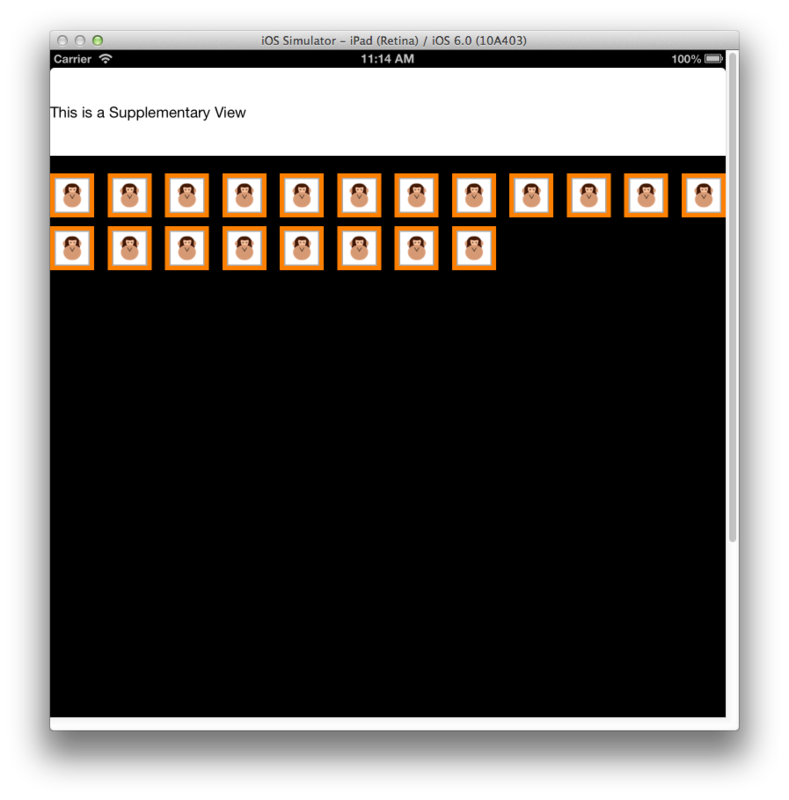 Overriding TargetContentOffset to make the centermost cell snap to the center of the UICollectionView as scrolling stops. Overriding LayoutAttributesForElementsInRect to return an array of UICollectionViewLayoutAttributes . Each UICollectionViewLayoutAttribute contains information on how to layout the particular item, including properties such as its Center , Size , ZIndex and Transform3D . In addition to using UICollectionViewFlowLayout, layouts can also be fully customized by inheriting directly from UICollectionViewLayout. PrepareLayout – Used for performing initial geometric calculations that will be used throughout the layout process. CollectionViewContentSize – Returns the size of the area used to display content. LayoutAttributesForElementsInRect – As with the UICollectionViewFlowLayout example shown earlier, this method is used to provide information to the UICollectionView regarding how to layout each item. However, unlike the UICollectionViewFlowLayout , when creating a custom layout, you can position items however you choose. The powerful thing about layouts is that to change from the grid-like layout, to a horizontal scrolling layout, and subsequently to this circular layout requires only the layout class provided to the UICollectionView be changed. Nothing in the UICollectionView, its delegate or data source code changes at all. In iOS 9, the collection view (UICollectionView) now supports drag reordering of items out of the box by adding a new default gesture recognizer and several new supporting methods. Using these new methods, you can easily implement drag to reorder in your collection view and have the option of customizing the items appearance during any stage of the reordering process. As stated above, one of the most significant changes to the collection view in iOS 9 was the addition of easy drag-to-reorder functionality out of the box. Here the Text property of the label is exposed as the title of the cell, so it can be set from code. This class will be the data source for our collection view and provide the information for each cell in the collection. Notice that the MoveItem method is implemented to allow items in the collection to be drag reordered. This will act as the delegate for our collection view. Methods have been overridden to highlight a cell as the user interacts with it in the collection view. Notice that DataSource and Delegate that we created above are set when the collection view is constructed from its storyboard (or .xib file). BeginInteractiveMovementForItem - Marks the start of a move operation. UpdateInteractiveMovementTargetPosition - Is sent as the item's location is updated. EndInteractiveMovement - Marks the end of an item move. CancelInteractiveMovement - Marks the user canceling the move operation. 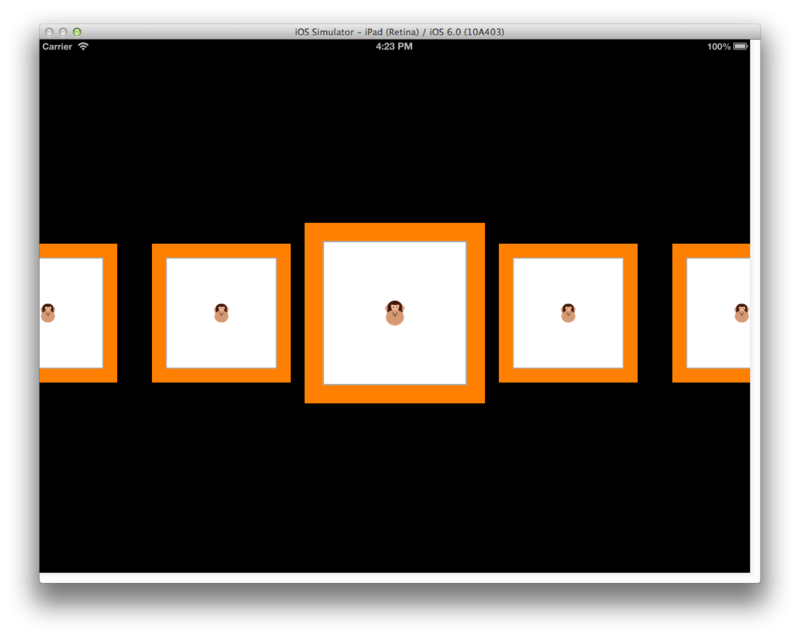 When the application is run, the drag operation will work exactly like the default drag gesture recognizer that comes with the collection view. In iOS 9, several new methods have been added to work with drag-to-reorder and custom layouts in a collection view. To explore this feature, let's add a custom layout to the collection. This can be used class to provide a custom two column, waterfall type layout to the collection view. The code uses Key-Value Coding (via the WillChangeValue and DidChangeValue methods) to provide data binding for our computed properties in this class. This will create a random height for each of the items that will be displayed in the list. This will make it easier to get at our data source (and the item heights) from the custom layout. This creates an instance of our custom layout, sets the event to provide the size of each item and attaches the new layout to our collection view. We can still drag-to-reorder items as before, but the items will now change size to fit their new location when they are dropped. In the following sections, we'll take a detailed look at the changes made to each class in the collection view by iOS 9. BeginInteractiveMovementForItem – Marks the start of a drag operation. CancelInteractiveMovement – Informs the collection view that the user has canceled a drag operation. EndInteractiveMovement – Informs the collection view that the user has finished a drag operation. GetIndexPathsForVisibleSupplementaryElements – Returns the indexPath of a header or footer in a collection view section. GetSupplementaryView – Returns the given header or footer. GetVisibleSupplementaryViews – Returns a list of all visible header and footers. UpdateInteractiveMovementTargetPosition – Informs the collection view that the user has moved, or is moving, an item during a drag operation. InstallsStandardGestureForInteractiveMovement – If true the new Gesture Recognizer that automatically supports drag-to-reorder will be used. CanMoveItem – Informs the collection view if a given item can be drag reordered. GetTargetContentOffset – Used to get the offset of a given collection view item. GetTargetIndexPathForMove – Gets the indexPath of a given item for a drag operation. MoveItem – Moves the order of a given item in the list. SectionFootersPinToVisibleBounds – Sticks the section footers to the visible collection view bounds. SectionHeadersPinToVisibleBounds – Sticks the section headers to the visible collection view bounds. GetInvalidationContextForEndingInteractiveMovementOfItems – Returns the invalidation context at the end of a drag operation when the user either finishes the drag or cancels it. GetInvalidationContextForInteractivelyMovingItems – Returns the invalidation context at the start of a drag operation. GetLayoutAttributesForInteractivelyMovingItem – Gets the Layout Attributes for a given item while dragging an item. GetTargetIndexPathForInteractivelyMovingItem – Returns the indexPath of the item that is at the given point when dragging an item. CollisionBoundingPath – Returns the collision path of two items during a drag operation. CollisionBoundsType – Returns the type of collision (as a UIDynamicItemCollisionBoundsType) that has occurred during a drag operation. InteractiveMovementTarget – Returns the target item of a drag operation. PreviousIndexPathsForInteractivelyMovingItems – Returns the indexPaths of other items involved in a drag to reorder operation. TargetIndexPathsForInteractivelyMovingItems – Returns the indexPaths of items that will be reordered as a result of a drag-to-reorder operation. GetTargetContentOffset – Returns the offsets of items that will be moved via a drag-to-reorder operation. GetTargetIndexPathForMove – Returns the indexPath of an item that will be moved during a drag-to-reorder operation. 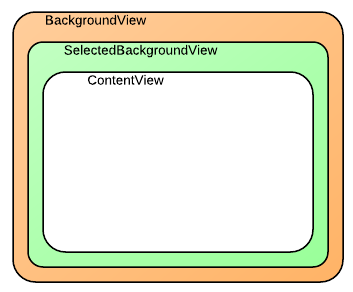 This article has covered the changes to collection views in iOS 9 and described how to implement them in Xamarin.iOS. 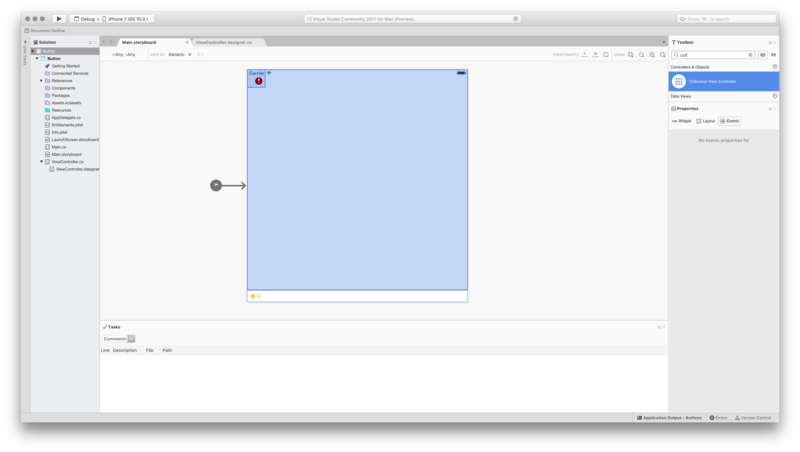 It covered implementing a simple drag-to-reorder action in a collection view; using a custom Gesture Recognizer with drag-to-reorder; and how drag-to-reorder affects a custom collection view layout.